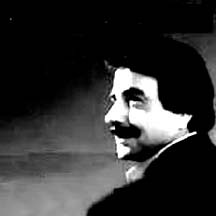 Alireza Eftekhari is one of the few artists that have gained the respect and admiration of classical music lovers eveywhere. It is refreshing to see younger artists continue to present beautiful classical Iranian music to the younger generation. "Yad-e Ostad" is a truly special album because the music is composed by one of our legendary masters Ali Tajvidi. The album is dedicated to him.